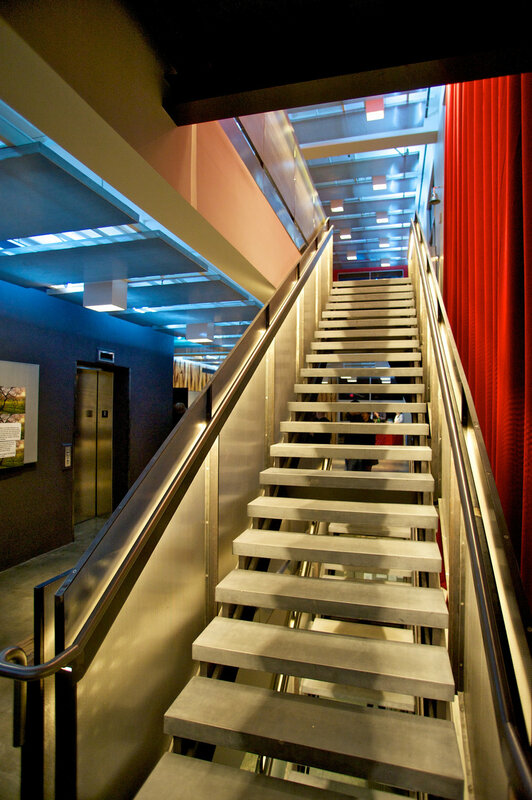 Working with the high profile design firm, Bushman Dreyfus, we designed a floating stair for an avant garde and creative theater lobby. The elegant simplicity of the design took advantage of the performance characteristics of Ultra High Performance Concrete. The combination of high traffic needs dictating superior durability and the floating quality of the stairways was only possible with this proprietary concrete formulation.